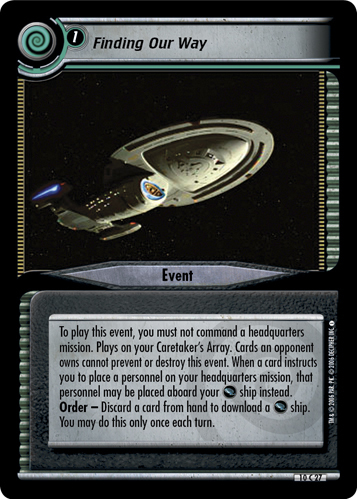 To play this event, you must not command a headquarters mission. Plays on your Caretaker's Array. 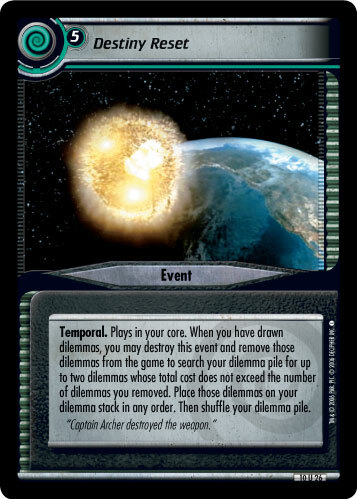 Cards an opponent owns cannot prevent or destroy this event. 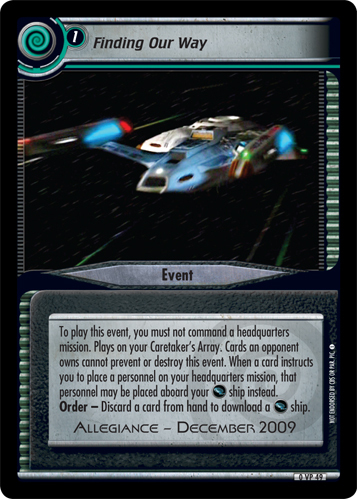 When a card instructs you to place a personnel on your headquarters mission, that personnel may be placed aboard your ship instead. 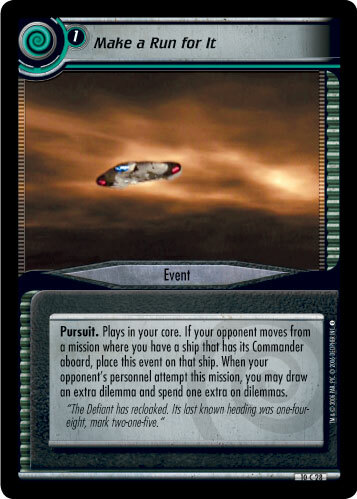 Order - Discard a card from hand to download a ship. You may do this only once each turn.